December | 2017 | Educate.Empower. Today I’m taking part in the Just write for Kids Books on Tour and I’m happy to introduce Elizabeth Cummings and her latest picture book from her Verityville series, Brave and Strong All Day Long, as a part of her Books On Tour promotion. Summer is coming and it’s time to hit the beach don’t you think? Many people love going to the beach to relax and it’s even better when the weather is warm enough to swim. Thankfully, in Australia, many of our beaches are patrolled by lifegaurds who are there to watch over us as we swim underneath the waves, ride the waves or try to run away from them! Brave and strong all day long by Elizabeth Cummings is a short and simple picture book with a big message – the importance of lifeguards. Lifeguards need to be confident, strong and brave all day long, they need to be able to help those in need, teach people how to swim safely in the surf and most importantly ensure that everyone returns back to their towels at the end of their swim! This book, brought to life with Johanna Roberts’ vibrant and informative illustrations, tells us the story about Fiona, a young girl who became a lifeguard. She loves surfing and has enough confidence to be able to help those in need. Not only can Fiona help swimmers caught in rips she can also help fishermen and surfers! Young children will enjoy reading this story and learning about what lifeguards do. The images reflect what a lifeguards uniform looks like so readers will know who to look out for if they need help at the beach. There is also a great drawing of a rip – a great way to start a conversation about this ever present danger in the water and perhaps the chance for further research so your children know what one of these looks like. Brave and strong, all day long has been self published along with many other wonderful creations by Elizabeth and Johanna. Raising awareness of the important role lifeguards play in society is something we all need to do so we do not take these wonderful volunteers for granted. 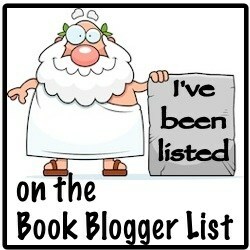 “For more information on blog tours at Books On Tour please visit www.justkidslit.com/books-on-tour.” Thanks so much. Please let me know if there’s anything else you need. So what else can you do after you have read this book? ENGAGE: Visit the beach and watch what the lifeguards do – perhaps even talk to one and see what they have been up to! INVESTIGATE: Why the flags are placed up and how they help us. ASK: Why do lifeguards wear long sleeve tops and hats. Investigate sun safety and why we need to cover up. THINK: What sort of sun cream do you use? Why are there so many types out there and are they all the same? RESEARCH: Where and when did surfing originate? Why do lifeguards use boards to rescue people? Five of my favourite picture books I read in 2017. Warning! I’ve been tagged. It can be contagious. Norah Colvin tagged me and asked me to join in. I don’t normally do this but I’m making an exception. How could I not – it’s about children’s books. I’m required to nominate my top five children’s books, then nominate another five people to join in! Thank whoever’s nominated you and share their blog link. I’m not sure I can decide on my Top 5 – but here are 5 wonderful picture books that speak to me and children about how we can make this world a better place. Oh dear — Can I also mention Second Sky by Patrick Guest and Desert Lake by Pamela Freeman and Zoom by Sha’an D’anthes??? There have been so many wonderful books in 2017 but the above have really stood out. Maybe you don’t write about children’s books but would like to share your favourites anyway. Please consider this invitation inclusion. If you would like to join in, please do. Alternatively, if you are one of the people I nominate, and you’d rather not join in, or have already been nominated, it’s okay to decline. LHave you ever looked up at the sky and wondered what different things you could see in the clouds? Have you ever been to a cloud forest and wondered where the earth meets the sky? 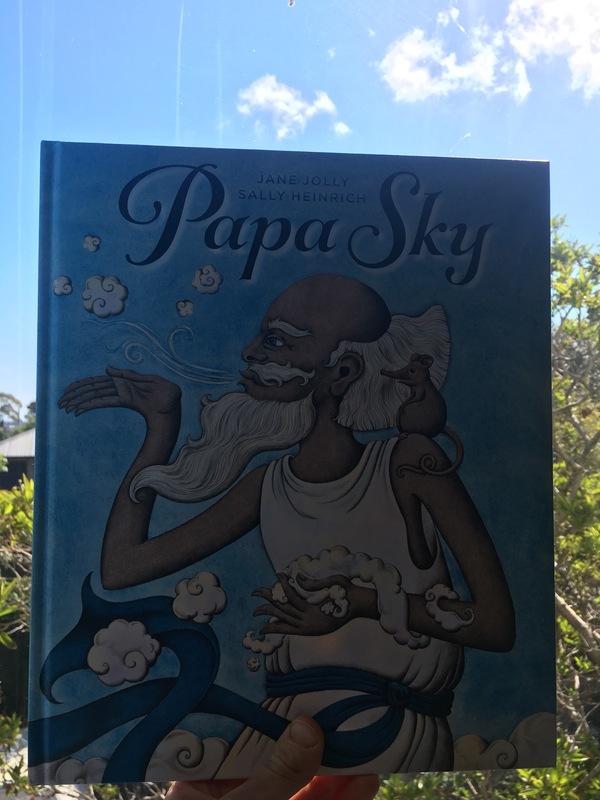 Papa Sky by Jane Jolly and illustrated by Sally Heinrich is an imaginative yet informative story about cloud forests and the animals that need them to survive. Papa Sky is having lots of fun creating different shapes in the clouds above the cloud forest until one night he falls down into the forest. At first it seems like a wonderful thing to have Papa Sky down in the rainforest but soon the animals come to realise that without him in the clouds they are nothing. “We must get him back to where he belongs”. Not only does this book provide entertainment it also helps the reader to see the importance of the climate in cloud forests. Cloud forests harbour many of the world’s flora and fauna species (which can be seen in the end paper of this book) and due to climate change many of these species are becoming endangered or extinct. The animals realise that although it is fun to have someone new around, they really need him to be where he has always been. Sally Heinrich’s illustrations enhance the story with vibrant colour, small detail and varied page layouts. The children who have read this book with me have loved looking at the animals on each page – especially the pages without words – and wondering how they are feeling and what they might be thinking. There are many wonderful discussions you can have before, during and after this story and it is wonderful to see a picture book that can raise awareness of this issue in a non-confrontational way. Investigate what cloud forests are and where they are in the world. Find out if people live in or near them and which animals need cloud forests to survive. Find out how cloud forests are being affected by climate change. Investigate an animal that is becoming endangered due to the change in how cloud forests function. Step outside, lie down on the grass and look at some clouds. What shapes can you see? Draw, paint or collage your own types of clouds. Want more? Work with me to create more great teacher resources using books as springboards.